Home KPI Why Are KPIs Important? In order to understand why KPIs are important (and thus, be able to create a successful report) you need to have a clear definition of what a KPI is. Every organization has objectives, or high-level company goals. Key performance indicators (KPIs)—also called “strategic measures”—are both actions and tools of measurement used to monitor the progress toward achieving these objectives. In its simplest form, a KPI is a measurement device that helps you understand how your organization is doing in regard to its goals. 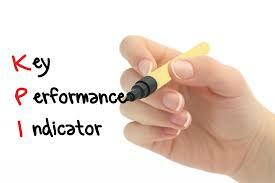 Effective KPIs are actionable, crucial, and easily communicated throughout the organization. So why are KPIs important? Because they act as a proxy between your organization and the goals you’re looking to achieve.